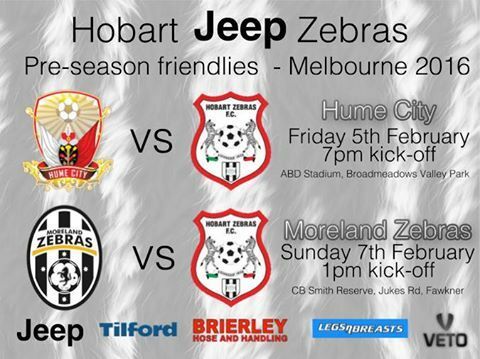 This weekend will see our Sister Club Hobart Zebras make the trip to Melbourne for a set of friendly games. 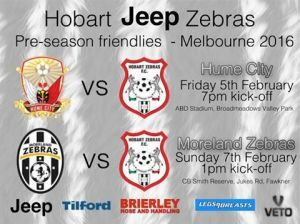 Sunday we will welcome Hobart Zebras to C.B Smith Reserve as the two sister clubs take to the field. 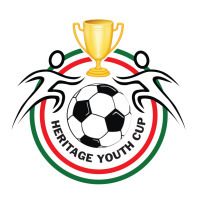 Come along and support the boys in a Black and White Pre Season Friendly.